Hello, world!! 🙂 I am so happy that I can say that on this blog., seeing my meter go up each day and have visitors from different parts of the world makes me really really happy! 🙂 Countries that I would love to visit someday. I have a heart of a traveler, I love to experience new things and see beautiful places, and I am so happy that I was able to travel with the love of my life recently. We both love to plan our itinerary according to the foods that we would like to try, so I feel like when I post blogs about the places I go to, I have more food photos than the beautiful sights that one would love to see. Anyway, we love going to NJ for our own piece of “vacation”. Working in the kitchen can get physically and sometimes mentally stressful, it’s a lot of fun and each day is fulfilling. We both like to reward ourselves by spending time with each other,and going to NJ for some quality time and have delicious food (which is always on top of our list). My attempt of taking a nice panorama shot of Atlantic City while the car was moving. The best part of going to NJ with him is when we cook dinner together. Sharing the same passion with him is one of the greatest things God blessed me with.To be able to talk about food for hours, get excited about new dishes that we can try, and stand side by side with him while cooking. Grilled Clams. Simple yet sooooo good! The best lover knows how to feed my addiction!!!!! 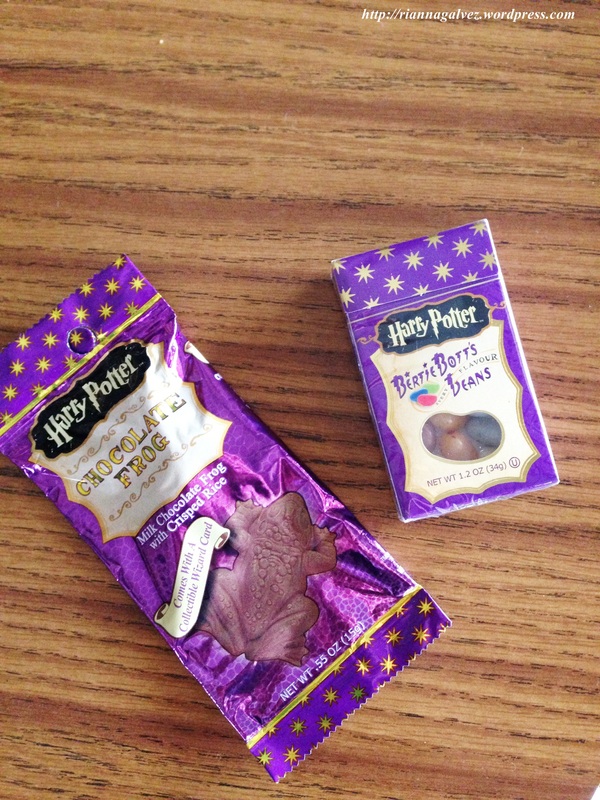 Harry Potter candies for me!!! !